On March 29th, the U.S. District Court for the Western District of Washington issued a permanent injunction requiring certain State of Washington (“State”) agencies to provide and maintain fish passage for salmon at numerous culverts under State-owned roads. United States v. Washington, Case No. 70-9213 (W.D. Wash., Mar. 29, 2013). The court imposed the injunction as a remedy following its 2007 declaratory order, finding that the State has built and operates stream culverts that block fish passage to and from the Tribes’ usual and accustomed fishing places, and these culverts deprive the Tribes of the fishing rights reserved by the Stevens Treaties. The court concluded that issuing the injunction will ensure that the State acts “expeditiously” in correcting the barrier culverts, and will provide salmon with access to approximately 1,000 miles of additional stream habitat. In 2001, the Western Washington Treaty Tribes, along with the United States, initiated this matter as a subproceeding in the longstanding United States v. Washington litigation. This litigation, which has been ongoing since 1970, involves determining the scope of the Tribes’ treaty fishing right. The relevant treaties (commonly referred to as the Stevens Treaties) were negotiated by the federal government in the 1860’s. In general, the original lawsuit involved three key issues: (1) whether the treaties’ fishing clause entitles the Tribes to a specific allocation of fish; (2) if such an allocation is required, whether hatchery-bred fish are included in the allocation; and (3) whether the right of taking fish incorporates the right to have treaty fish protected from environmental degradation. After these issues were bifurcated, the Tribes, in Phase I of the litigation, successfully established that the treaties provided them with a right to take up to 50% of the “harvestable” fish. United States v. Washington, 384 F. Supp. 312 (W.D. Wash. 1974). In Phase II of the United States v. Washington litigation, the court considered the reserved hatchery and environmental issues. In 1980, the district court considered the environmental component and held that “implicitly incorporated in the treaties’ fishing clause is the right to have the fishery habitat protected from man-made despoliation.” United States v. Washington, 506 F. Supp. 187, 190 (W.D. Wash. 1980). On review, the Ninth Circuit rejected the “environmental servitude” created by the district court, but recognized that the State and Tribes must take reasonable steps to preserve and enhance fishery resources. United States v. Washington, 694 F.2d 1374, 1389 (9th Cir. 1982). Subsequently, the Ninth Circuit, rehearing the issue en banc, vacated the district court’s order as being “imprecise in definition and uncertain in dimension.” United States v. Washington, 759 F.2d 1353, 1357 (9th Cir. 1985). While rejecting the imposition of a broad “environmental servitude,” the court left open the possibility that a specific duty may exist depending upon the facts of a particular case for its definition and articulation. Id. Sixteen years later, in this subproceeding, the Tribes requested a declaratory judgment establishing: (1) that the Stevens Treaties impose a duty on the State to refrain from diminishing the number of fish passing through, to or from the Tribes’ usual and accustomed fishing grounds by construction and/or maintenance of culverts; and (2) that the State had violated, and continues to violate, the duty owed to the Tribes under the Stevens Treaties. In addition, the Tribes requested an injunction preventing the State from constructing or maintaining any culverts that may impact salmon and requiring the State to identify within 18 months all culverts which impact salmon and to repair or replace the identified culverts within five years. The district court has limited the scope of the subproceeding to include only culverts blocking fish passage under State-owned roads. In granting the Tribes’ request for a permanent injunction, the court mandated that the State expedite its process of repairing and replacing fish-blocking culverts in order to replenish salmon migration to and from spawning grounds. 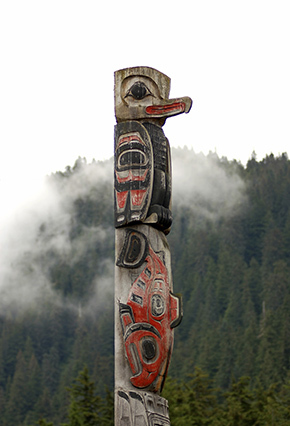 In discussing the magnitude of the injury, the court observed that “[t]he Tribes and their individual members have been harmed economically, socially, educationally, and culturally by the greatly reduced salmon harvests that have resulted from State-created or State-maintained fish passage barriers.” Furthermore, the court also determined that this injury is ongoing, monetary damages would not adequately compensate the Tribes and their individual members, and that equity favors requiring the State to keep the promises upon which the Tribes relied when they ceded significant tracts of land under the Treaties. Finally, the court noted that commercial, recreational, and Tribal fishermen will benefit from the increased production of salmon, and the general public will benefit from salmon habitat restoration. WSDOT provide for fish passage at each listed barrier culvert that has less than 200 lineal meters of upstream salmon habitat at the end of the culvert’s useful life, or sooner as part of a highway project. In addition, the court identified three options to achieve fish passage which, in order of preference, are: (1) avoid the need for the road to cross the stream; (2) a full span bridge; and (3) a stream simulation culvert. Finally, the court required the identified State agencies to monitor and evaluate their implementation of the injunction, and take reasonable steps to maintain their culverts to prevent the development of fish barriers and to protect salmon habitat. The court emphasized that its ruling is narrowly focused on the State’s specific treaty-based duty to address fish-blocking culverts. Unless overturned on appeal, this decision could affect significantly the programs and budgets of State agencies as they are required to reprioritize funding to remedy the identified barrier culverts to provide fish passage. In addition, notwithstanding the court’s narrow holding, the Tribes could seek broader application of the decision to address other State activities that potentially impact salmon and salmon habitat. For additional information on this case, or to discuss potential implications of the decision, please contact Matthew Love in our Seattle, Washington office at (206) 623-9372, or any member of the firm’s Land Water & Natural Resources Practice.